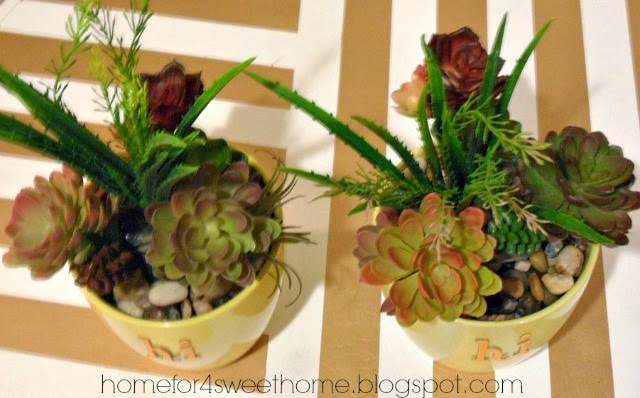 Home For4 Sweet Home: Bringing Spring Inside your Home: Hi Faux Succulent Planters! 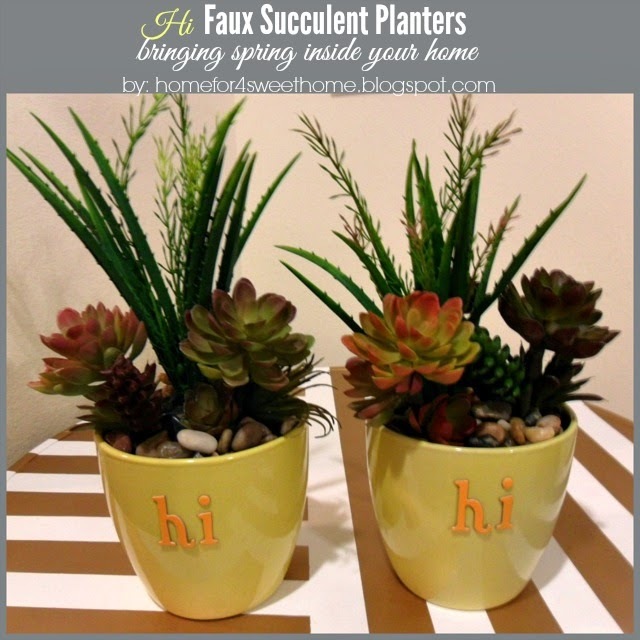 Bringing Spring Inside your Home: Hi Faux Succulent Planters! 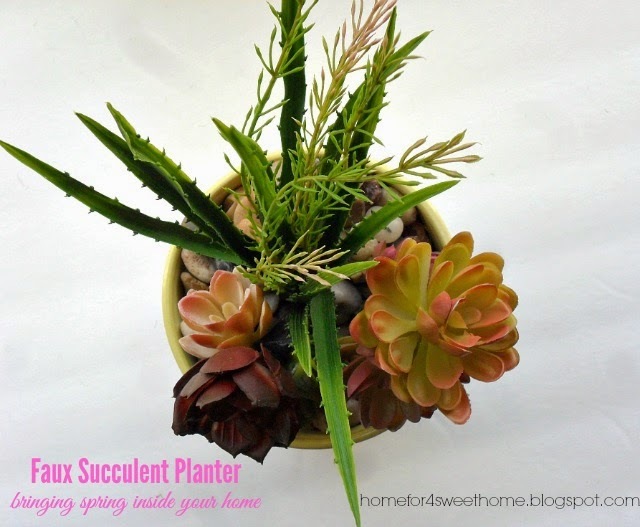 Remember on last week's The DIY'ers I had this as one of my top three favorites? 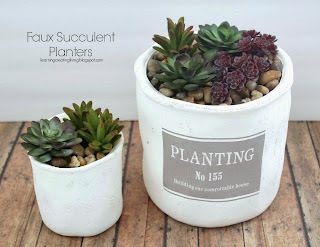 I really want to try this faux succulent planters sometime that Katelyn of Learning, Creating, Living shared. It really looks real. And so I tried it. And. I. Love. It. You know when you're super inspired by somebody that you have to go to Michael's impromptu and pronto. My trip to Michael's was also interesting having two toddlers with me. I have to purchase other than these supplies. But it was a super fun trip! oh by the way, the succulents were all on 40% sale. 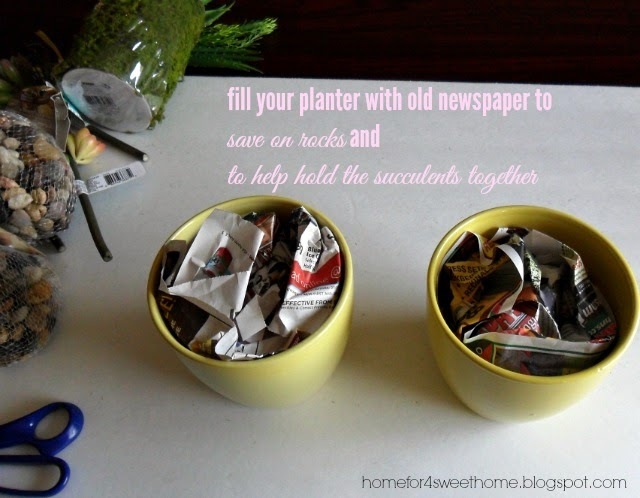 I used some old newspaper to save on the rocks. And then arranged the succulents in the planter. Added some moss and then rocks. And it is very pretty. I did not understand why I have not thought of doing this before. But so glad Katelyn inspired me so much. Thanks to you. Looking at it, I thought I had to add something. So I added some sticker letters. Would have been nice to put a vinyl lettering or paint it but I wasn't 100% to keep it like this yet. I love how it looks when your looking down at it. They really look real in person (or in succulent). Does it look too fauxy for you? The good thing about this is, I don't have to worry about watering or for it to die. Because you know, I don't have that super-green thumb. And this is the best thing I've ever done so far this spring. 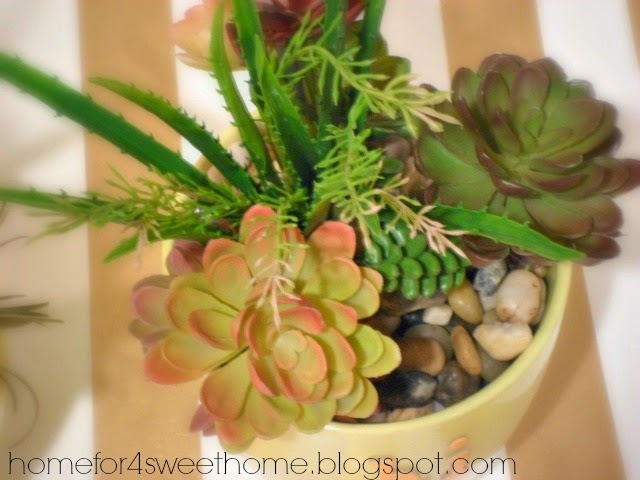 Have you ever tried keeping real succulents? 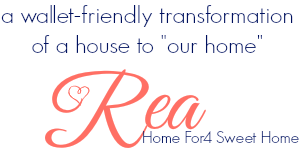 Or would you consider doing like this? I think it's pretty. I'd use something like this in the house, maybe in the entry way! !